Once someone asked me what my Native American name would be. I never could decide, until it struck me recently: Death to Plants. When my boys were young and we lived in New Jersey in a house with a big 100×100 yard, I planted a vegetable garden. I knew next to nothing about growing vegetables, but I figured I lived in the Garden State, anything would grow. So it’s a puzzle to me how I can have such a lack of ability when it comes to houseplants. 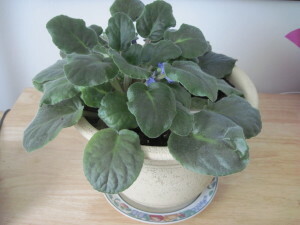 Only the hardiest survive in my care — like hostas and philodendrons, and oddly, one African Violet that was part of a plant garden I received about eight years ago. For some reason, that most fragile of plants not only survived, but thrives at its spot in my office, near a south-facing window. Every six months or so it blooms, giving me the false sense that I’m somehow responsible for its health. 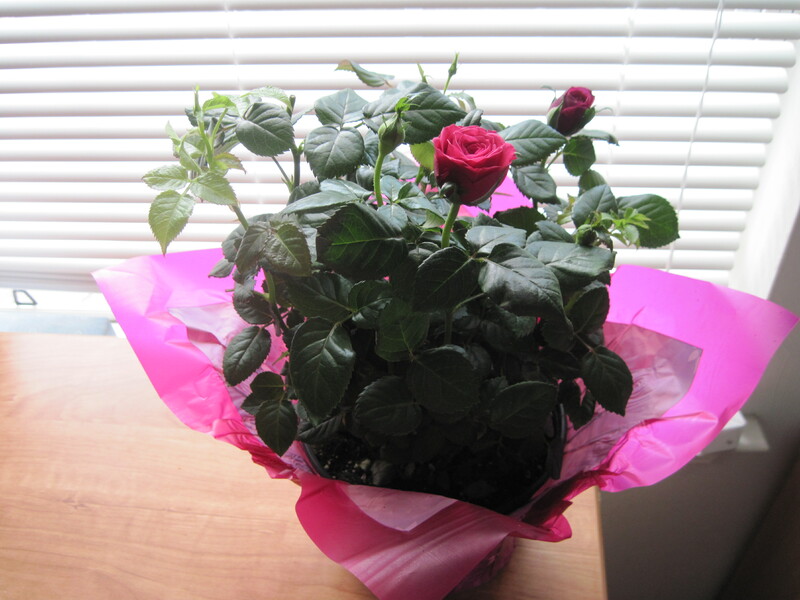 Several weeks ago I was gifted a lovely, lovely hibiscus plant (see my “Happy May” message). It was thriving and robust and blooming with the most beautiful pink blossoms. Well, today I’m giving it a bath. Yes, a bath. In the bathtub with hot water. Why? Because it seems it has a case of spider mites! UGH! The leave s starting turning a mottled yellowish color about a week ago. One person told me it was too much water, another said too little. I looked it up online, and found a site that said it was stress…. Now that I could relate to. So, figuring it needed the light from my magic window, I brought it home. Two days ago I was watering the hibiscus and noticed delicate cob-webby things at the juncture of the branches. Eww, I thought to myself. I’m no Suzie Homemaker, but it’s pretty bad when my plants get cobwebs! 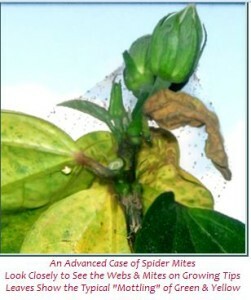 Today there were more webs, more mottled leaves, so I looked again online and found a site (Hidden Valley Hibiscus) that diagnosed these symptoms as spider mites! (At which point I spent another 45 minutes or so researching how to eradicate the nasty things from my plant….and thus the bath. Only time will tell if I’ve saved the Hibiscus and prevented the spread of the nasty critters to my new rose bush and (please, noooooooo) my miracle African Violet. 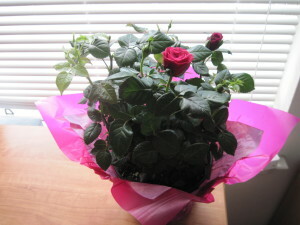 For now, it’s going in quarantine downstairs, in front of another south-facing window. Stay tuned for updates, and wish me luck!